Linking accounts can be useful when you need to be able to upload and manage expenses for someone else (e.g. if a secretary manages the expenses of the director). To request access to someone else's expenses, go to your 'Personal Settings', and click on 'Account delegation'. The owner of the account you are requesting a link to, will receive an email with a confirmation link; specifying who is trying to link their account and which roles they want to access. If the owner agrees to grant you access to their account, he can click the link in the email, and the accounts will be linked. To access the linked account, you can click on your name in the bottom left corner, and select 'Linked Accounts'. You will see an overview of all your linked accounts, that you can click on to access the account. 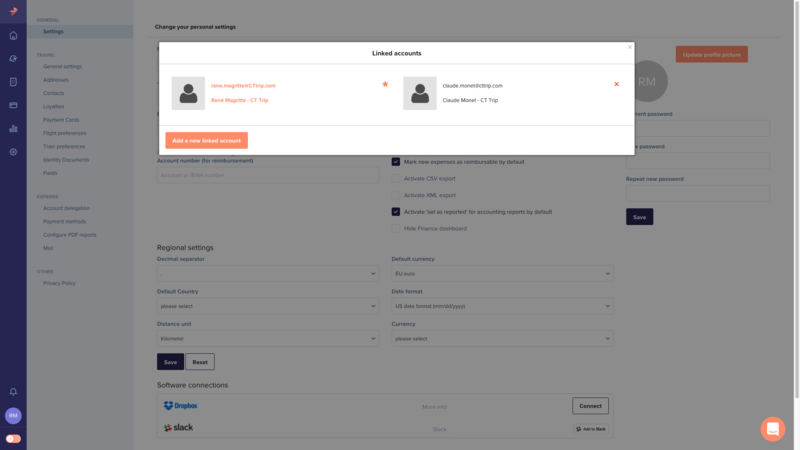 It is also possible to add linked accounts via this way. 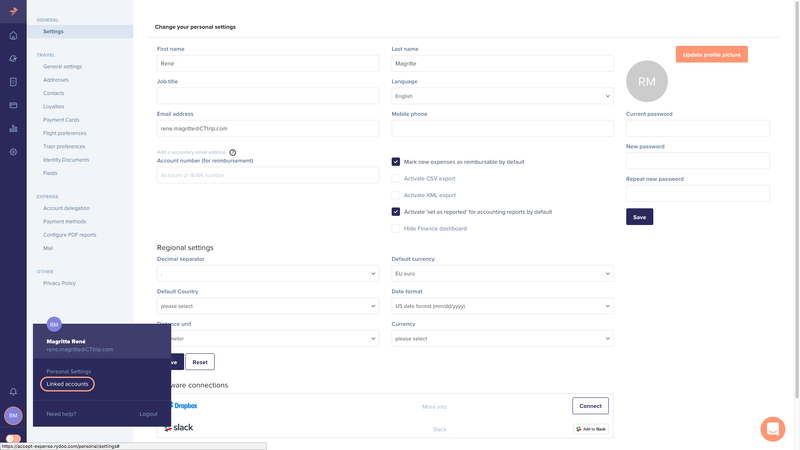 A linked account can use all of Rydoo's features that the owner has granted you access to, except linking it to yet another account. Any of the two parties can cancel the link at any time, via the same route you created the link. Linking is not bidirectional: If you link your account to another, you can access the other account but he can not access your account. You can link your account to someone else and he can link his account to you. Linking is not transitive: If you link your account to X, and X links her account to Y, then you cannot access Y's account. Even though you can access X's account and X can access Y's account. When in a linked account, you don't have access to transactions paid with a personal payment card. 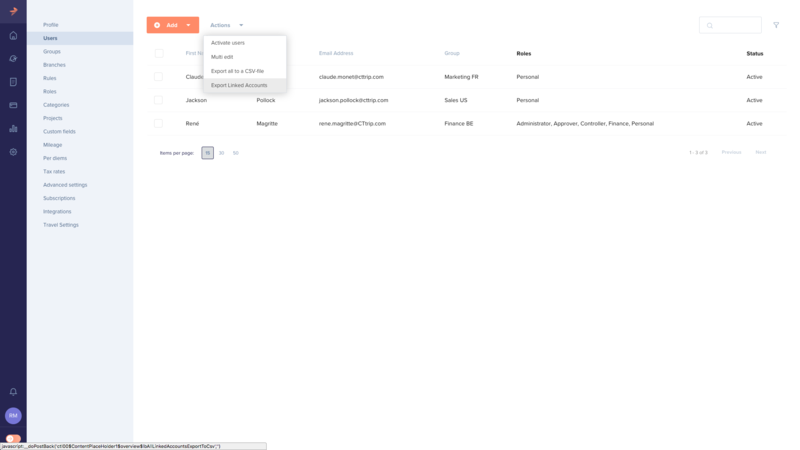 As an administrator, you can export a report that contains all the linked accounts in your company's account.